As an Orange County photographer we love the opportunity to visit San Francisco and photograph engaged couples, wedding ceremonies, family portraits or any social event. Some of our favorite places to photograph engagement sessions around the city are Sutro Baths, Golden Gate Park, Lands End, Sausalito, and the Cliff house. 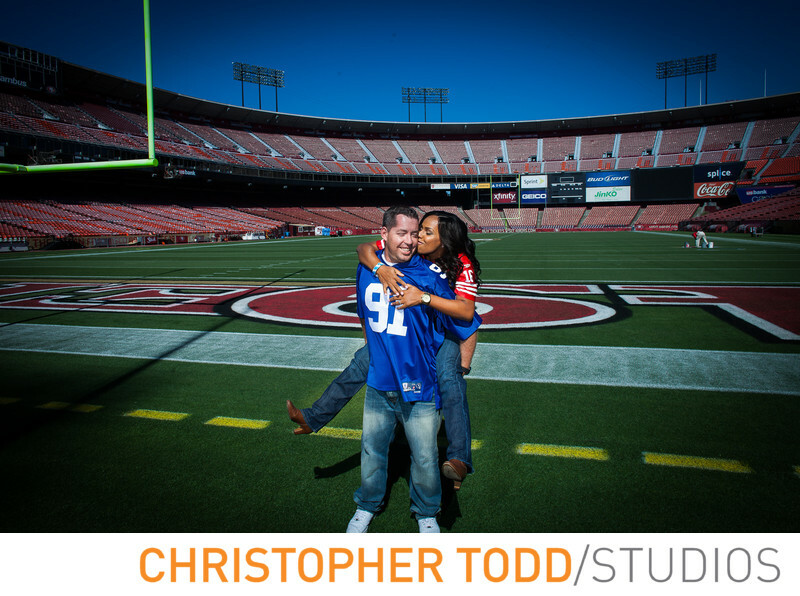 What makes San Francisco a great place for engagement photos is all the history. After the gold rush developers were looking for open land and they saw lands end as a perfect location. So they built a modest one story structure that would be a resort for the wealthy known as the Cliff House. In 1977, the National Park Service acquired the property to become part of the Golden Gate National Recreation Area. In 2005 the Cliff House was rehabilitated to its original neoclassical design, making it a great place to take photos. An iconic engagement photo is of the couple on a San Francisco Cable Car. We know this image has been taken plenty of times but it is still a favorite. San Francisco has so many unique neighborhoods with rich history. We love Nob HIll, Chinatown, Mission District, and North Beach. Each district has its own characteristics that reflect the many styles couples have. Beaches, bridges, and different neighborhoods all within a few minutes drive from the city center make San Francisco one of our favorite cities to take photos in. I usually try to avoid Fisherman's wharf because of the large crowds. There are better photo opportunities at the Presidio of San Francisco. Great views of the Golden Gate Bridge and romantic engagement photos taken here. When time allows a favorite location to add on is a gorgeous Napa winery. This is also a great location for a stand alone engagement session. Napa Valley is beautiful for weddings or engagement photos.